Our most powerful KombiMotor, the KM 131 R has 33% more engine power than the KM 111 R.
When you are on the job, which do you value more: power or versatility? If you answered “both," then take a look at the KM 131 R KombiMotor. 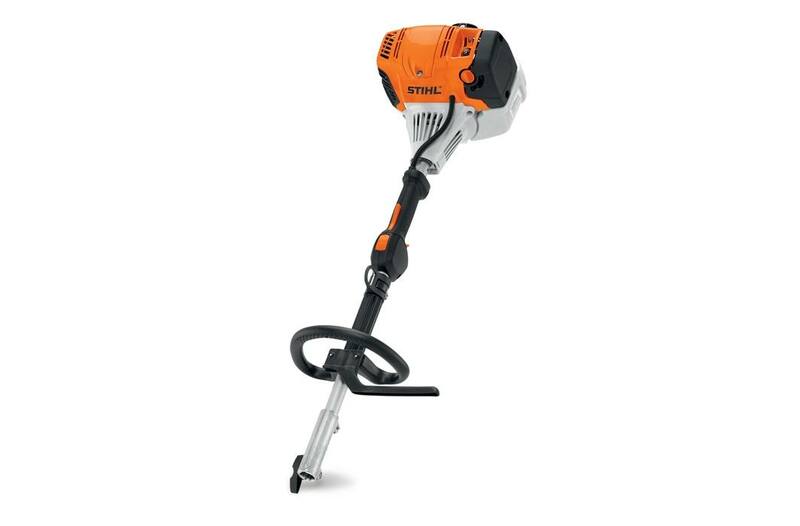 This multi-tasking tool is the most powerful in the STIHL KombiSystem family and features a low-emission engine, delivering 30% longer run times compared to previous models. It's compatible with over a dozen KombiSystem attachments, giving you incredible utility in a fraction of the trailer space compared to stand-alone tools. The KM 131 R is also easy to operate, featuring a semi-automatic choke lever, one-touch stop switch, anti-vibration system and a specially designed quick-release coupling system for easy switching between attachments. The only thing easier than using the KM 131 R is leaving your older, bulkier power tools behind.